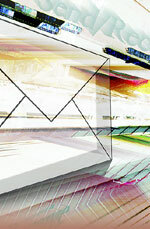 NITF offers E-mail Archiving Services to ensure that your information is there when you need it. NITF captures all incoming and outgoing e-mail for your domain name then stores it on a secure server for one month. At any point during that month, you can easily view the information on the server. At the end of one month, the information will be archived to a CD-ROM (up to 600 Mb) or DVD (if need more than 600 Mb of space). E-mail archiving is available for $10 per user per month with a minimum of 10 users. If you sign up for one-year of service, there is no initial set-up fee. Hosted by NITF a division of Special Systems, Inc.